Buy a pin - only £1! CUP Awareness Week: 23-29 Sep 2013. Today is the start of CUP awareness week. 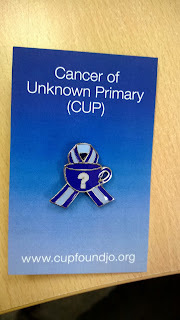 After I was diagnosed the only place I managed to find information and support and hear stories from other CUP sufferers was on the Jo's Friends website. They are also raising money for research into Cancer of Unknown Primary and also raise awareness. 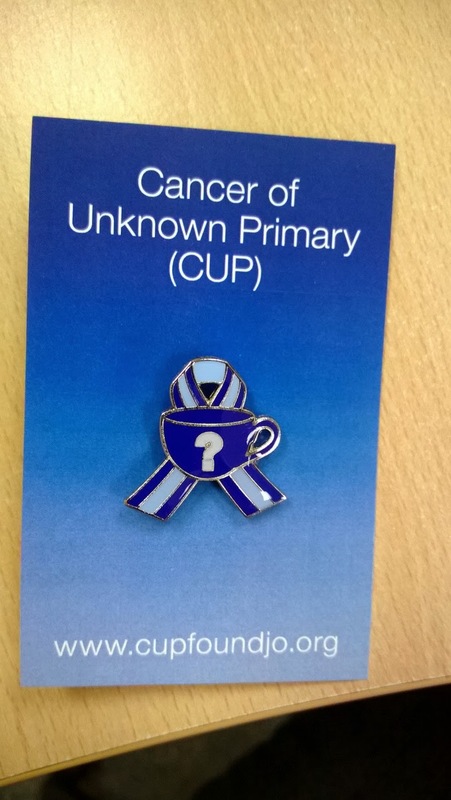 They have challenged us to sell 10 badges each - which means that 10 more people will know about CUP! So, if you'd like a pin - let me know. I still have a few left! Also - good news - Tracy passed her HGV test!! Congratulations to her - there'll be no stopping her now! Before I say anything else - I just want to say "Good luck!" 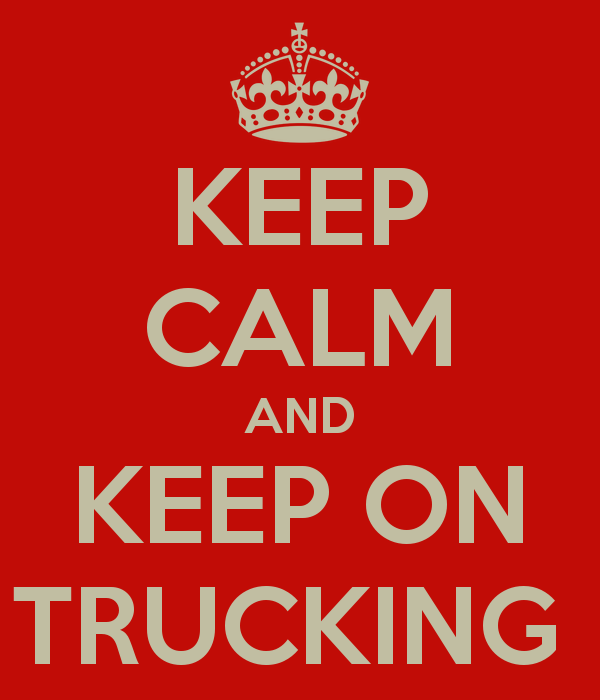 to Tracy - my colleague and friend who is taking her HGV Driving Test tomorrow! How brave is she?? You wouldn't get me near the cab of one of those monsters. Tracy seems to revel in it though - and can even reverse one into a tiny space. We are busy getting ready for our trip to Eurogamer 2013. We set off on Thursday so just three days of work before then :-) Two in the library and one for the Parish Council. I am a bit sad that I won't be at work for the return of the awesome Keele Poets - but I am very happy that they are coming back to the library for another year. We have had a fun weekend - visiting parents and making plum wine! Actually we've been making the wine all week- it is at the "bubbling away in the lounge" stage at the moment. The shed is far too cold now so we've had to bring the operation indoors. As we are making this one from scratch and not from a kit - it may not be ready until Christmas. The Rosé we did last time is pretty nice too - we are down to our last bottle! I've also bought myself a new vacuum (I know - exciting stuff eh?) I only mention it because we've gone for a high tech cordless one that weighs very little. The old one wasn't picking anything up on our really thick bedroom carpet - but this one is amazing! It works so well - but with much less power. It's called a Gtech AirRam - have a look at the website if you are interested. This week I have mainly been wearing...my new bracelets made by my talented niece: Sarah. She sells them on the internet - on Etsy. Her shop is called Mystery&Charms. 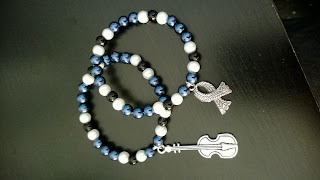 I chose the ones with the Sherlock theme (I love that TV show) so they feature a violin and a scarf! They look pretty cool on! I have spent most of Sunday afternoon looking for my American tax number. You need one if you want to publish books world-wide on Kindle. Usually you have to call the USA for one - but I remembered that I'd been given one when I lived in South Carolina back in the year 2000. Eventually I found it! The book is in the editing stage now - Nathan is proving to be a fab editor - he has an amazing attention to detail. So, it should be published in the not-too-distant future. Things are pretty quiet around here - working and stuff - all is well. 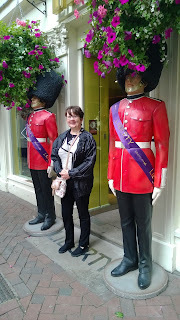 We did get chance to take a day out and go down to our wonderful Capital City for the day. Nathan had wanted to take his dad down there for a while - and at last he succeeded! His dad hasn't been to London for around 25 years - although he used to work there. He wanted to see the places he used to work and drink beer all those years ago! 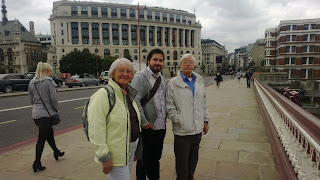 ﻿﻿We went from Stafford on the train and arrived at Euston around 11am ready for a day of sightseeing and reminiscing. Charles II - "the king who brought back partying"
We got the tube to Tottenham Court Road and emerged under the shadow of Centrepoint - N's dad used to have an office nearby and looked out onto this building - one of the first skyscrapers in London. Amazingly - it is now only the 27th tallest building in London. 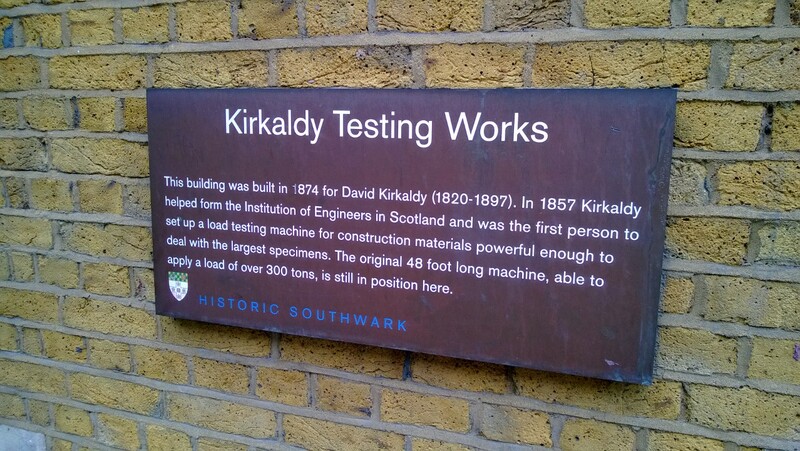 We had a wander round and saw that brightly coloured apartments had been built where his dad's office actually used to be. We saw St Giles-in-the-Fields Church (not actually in a field anymore) and Soho Square where we came across Charles II. N and I both started singing the song about him - from Horrible Histories -it always makes us laugh! We also visited Carnaby Street - where N's mum and I went into a fabulous shoe shop with the kind of shoes we'd never seen before! One pair had one of the seven dwarves (from Snow White) as their HEELS. We didn't buy anything though :-( I shoed them Choccywoccydoodah though - although they had never seen the Good Food Channel TV show featuring this chocolate shop and its wacky creations. I think they were quite impressed! 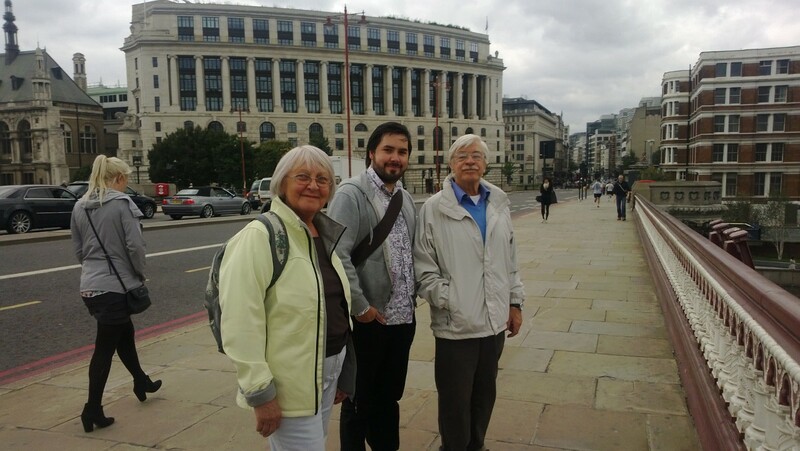 We were feeling a bit hungry so we headed back to the tube and changed at Embankment to get to Blackfriars. 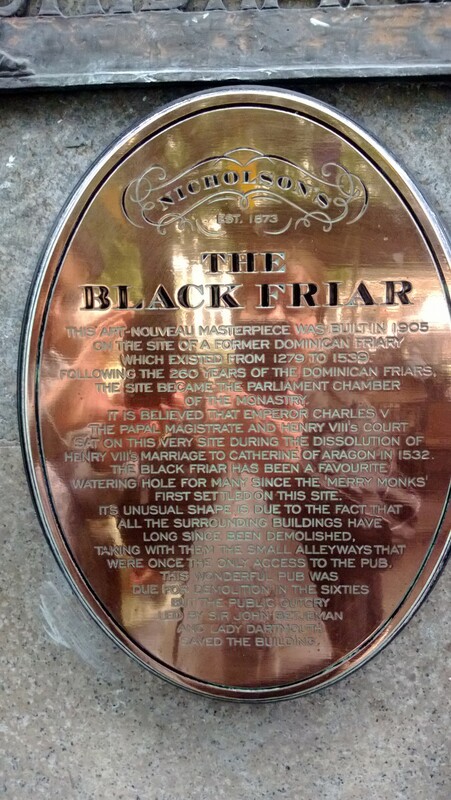 We walked over Blackfriar's Bridge This was the area where St Christopher House used to be - where N's dad spent many happy working years. It turns out that St Christopher House has been demolished to make way for Bankside 123. Very swish apartments overlooking the Thames and St Pauls on the far side. Prices start at £1.25m up to £6.5m. 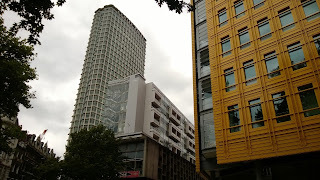 I don't know what SCH looked like - but it seems to have been considered an eyesore. There is only a little discussion on the web about it - here. 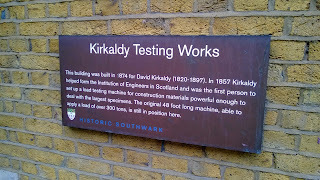 He was happy to see that the Kirkaldy Testing Works was still there - though now turned into a museum and only open on Sundays. We walked past Tate Modern and down the embankment to the Founder's Arms - an old watering hole for the workers of SCH, where we stopped for lunch! It was really nice to sit looking over the Thames - with all its traffic - and eat a delicious lunch. 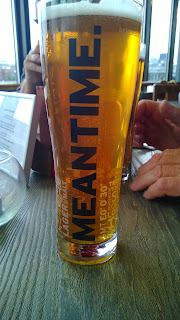 We tried the steak and ale pie (yummy) and the puy lentil and mushroom shepherd's pie and the Tower 42 Burger. 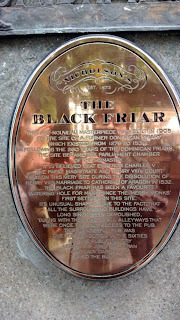 His dad remembered a pub in the neighbourhood called the Black Friar that used to be well-known. We had not seen it on the way here - so he asked the waitress if she knew of it. She didn't - but went off to ask her manager - then returned with directions! In order to walk all those calories off a little, we ventured over the Millennium Bridge and wandered around the back street near St Paul's. We were looking for this iconic pub and eventually came across it - right outside the tube station we had come out of earlier! It was full of tourist with so many people outside taking photos of its various signs. It was very ornate and dark inside and I presumed it must be very old - but it was actually built in 1905 on the site of a Dominican Friary. 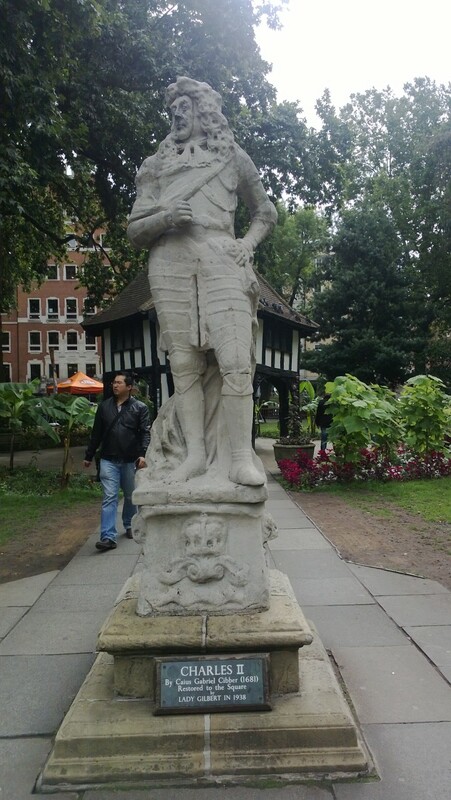 It was designed by architect H. Fuller-Clark and artist Henry Poole, both committed to the Arts and Crafts Movement. 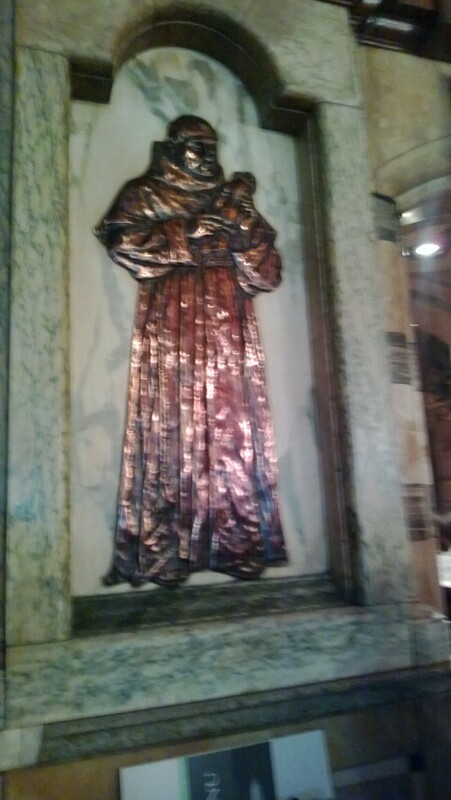 Jolly friars appear everywhere in the pub in sculptures, mosaics and reliefs. We are lucky to still have it as the pub was saved from demolition by a campaign led by Sir John Betjeman! 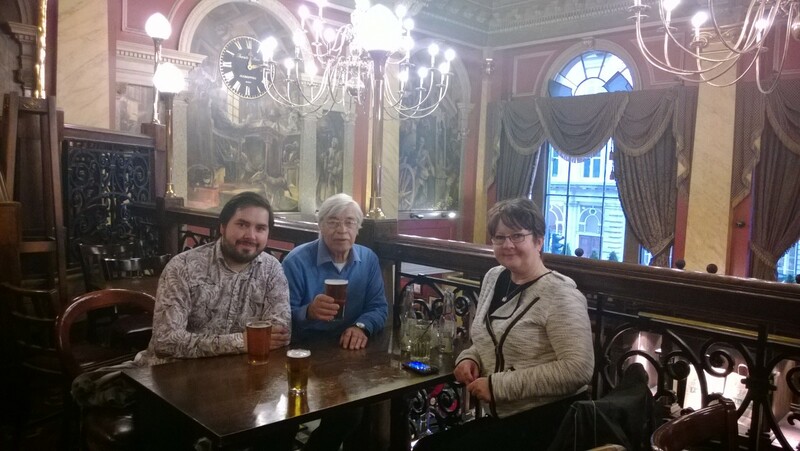 We were ready for a sit-down and the bar staff made very nice lattes! After that we headed of again - now in the rain - to look at Fleet Street and the law courts of the city. 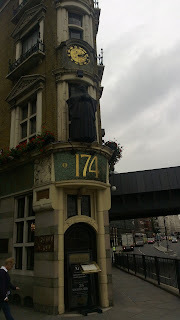 Needless to say it wasn't too long until we saw an interesting-looking pub. 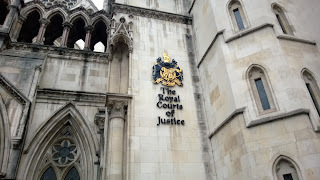 This one was right next door to the Royal Courts of Justice and had some very impressive chandeliers. N's mum wasn't sure they'd let us in - but it as just a normal pub. 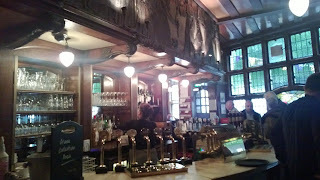 It was called the Old Bank of England It is a Fullers Ale and Pie House - and was indeed very grand inside. Watch this space for much game-related news. At last the photos taken of the ken-friends and Sir Kenneth Branagh have arrived. Here they are - can you spot Nathan and me? 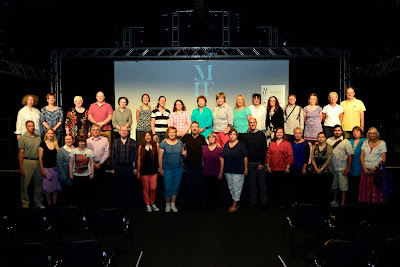 I am on the stage standing next to Toni - and Nathan is on the front row. Not sure why they sent this particular shot! 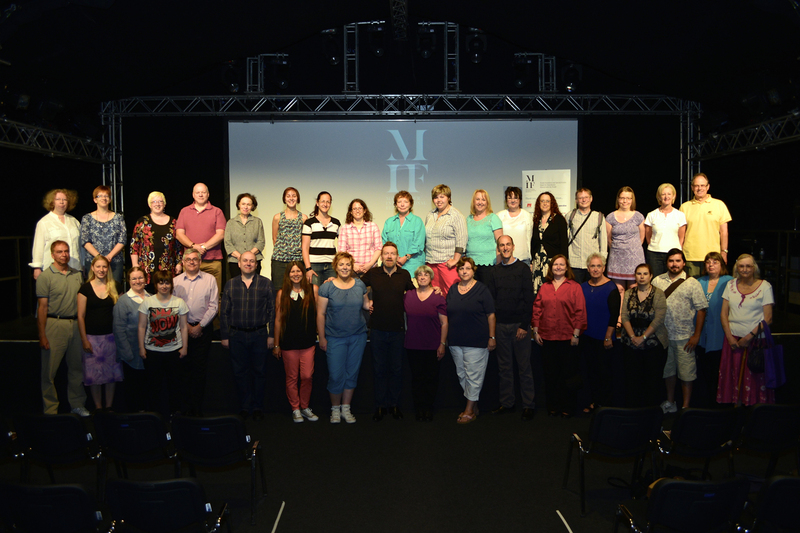 They were taken by Robert Martin for the Manchester International Festival. He did take quite a few on the day - and I love the first one. Not sure why we got the second one though - they must have been some better ones! 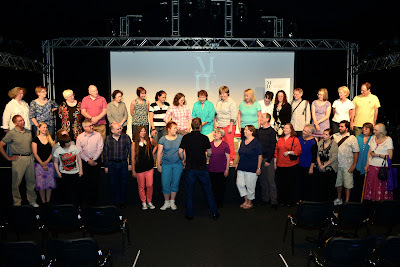 These were taken on the Thursday - just before the Q and A with Ken and his Lady Macbeth and MacDuff.